Otticanet Blog - Game of Thrones 8: here they are the glasses of ice and fire! The final battle is here! Discover the glasses of ice and fire chosen by the cast of GoT. Which style will conquer the throne of your heart? Jon Snow, Daenarys Targaryen, Cersei Lannister, Tyrion Lannister and all the survivors will return to the screens on Sunday night for the last season of Game of Thrones. 8 years of bloody battles, uncontrolled passions and high-voltage moments flew in a breath. Thinking about that within six weeks all this will end… we’re already crying! 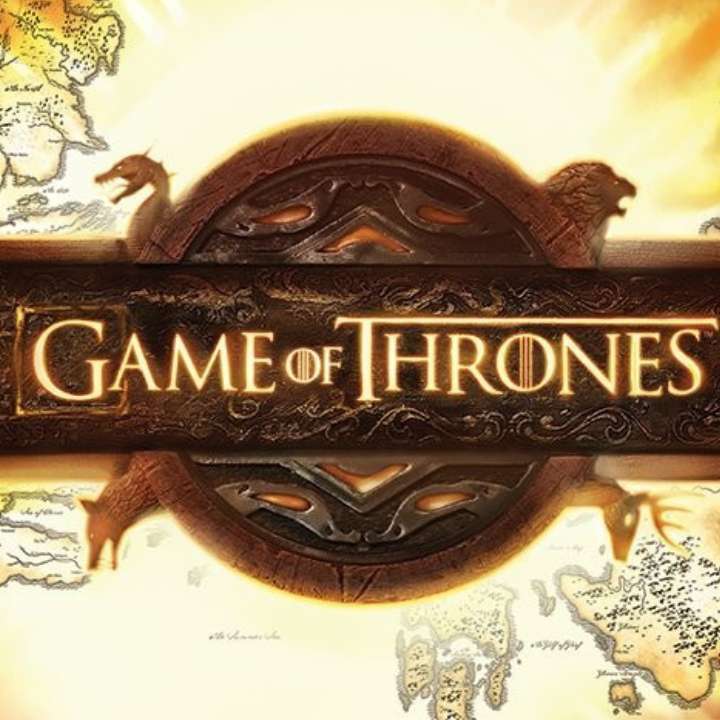 The impact that the series has had on the world of cinema, series and on our lives - as well as the life of Kit Harington, Emilia Clarke and the other actors - is incalculable. Some curiosities? It is the only TV series to be broadcasted simultaneously in 173 countries around the world. It has shifted the balance of tourism in Europe, especially Ireland and Croatia. In the United Kingdom the number of names of children inspired by the cast has no historical record. It is the last series that we will all be watching together in the world, waiting week by week for the upcoming episode. Then, everything will change. So, waiting for this last season that promises to be amazing, we wanted to play with our glasses: "A song of ice and fire", original title of the books by George R.R. Martin, inspired our post. Discover our selection of the sunglasses inspired by the series and the tastes of the cast of Game of Thrones. Ready? Let's start with the Dita Monthra chosen by Lena Hadley. The brand takes inspiration by the frames in vogue between the 50s and the 80s that imitated the reels of Hollywood cinema. Perfect for an actress! The new Carrera 1021 have already made many people fall in love and among them there is also Sophie Turner! Don’t you agree that these shades are perfect for a Northern Queen? Do we want to talk about the Queen of Dragons? Emilia Clarke, the actress who plays Daenerys Targaryen loves the classics. Here she is very elegant with a jacket resting on her shoulders and a pair of havana-colored round glasses. This is our proposal, a round pair of glasses by Bvlgari. Finishing this flamboyant selection, we had to insert the latest Balenciaga sunglasses! The lens seems to reflect the adventures of Drogon! What to say then... Dracarys! Brrr... Let's talk about the glasses of the North. Who will be in our first proposal? Obviously him! Kit Harington, the most famous guardian in the world. Or should we say King of the North, or maybe instead ... Quiet, no spoilers! But if you haven't seen season 7, hurry up! Well, whatever the title of Jon Snow, one thing is certain: his charm is indisputable! Here he is with a pair of round glasses with a double bridge and a thin frame. But we're talking about ice and we recommend a version of glasses similar to those of Kit but with an icy and elegant color, Giorgio Armani's Frames of Life. A lot has been said about Jon Snow's loves, but also those of his actor. Last year, Kit married the "red" of the series, the beautiful Rose Leslie, the actress who played Jon's first love, the brute Ygritte. Rose wears glasses with transparent frames and colored lenses. Here we propose a glacial version of Gregory Peck by Oliver People. But if you wish to color the lenses of your glasses, you can ask for it during the order. Otticanet is at your service! But another love has remained in our hearts, the one between the unforgettable Khal Drogo and Daenerys Targaryen. Jason Momoa has left an indelible mark on our and in the all the fans minds. At the premiere of this last season, he presented himself with his wife Lisa Bonet, dressed in a casual way but wearing a nice pair of Tom Ford. Here they are! And to close our selection inspired by what is beyond the wall, we offer you a very special pair of glasses. The Porsche Glued Visor P’8664 Limited Edition. Made in the Austrian mountains it couldn’t be excluded from this selection. If you are as bewitched as us, hurry to buy it on Otticanet! It's a Limited Edition! Our journey in the Seven Kingdoms ends here (for now). We cannot help but enjoy the end of the games, with all the nostalgia that it will leave inside us and let ourselves be enchanted by these last six episodes. See you next time and... Valar Morghulis!